She enjoys matching with her little princess. 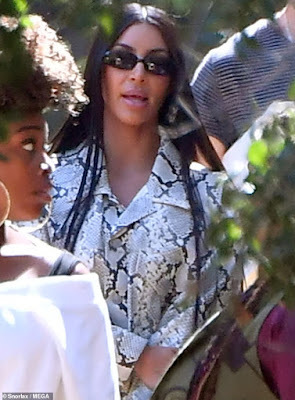 And on Sunday, Kim Kardashian suited up in a snakeskin print ensemble as she stepped out for a church service in Los Angeles, part of which was hosted by husband Kanye West. 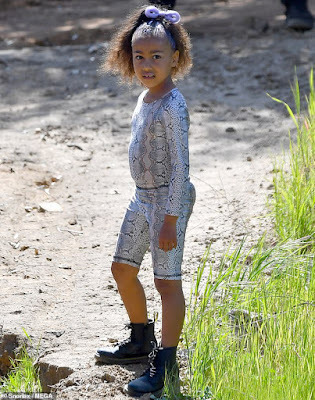 The reality TV vet was joined by daughter North, whom she proudly styled in a similar snakeskin print ensemble. 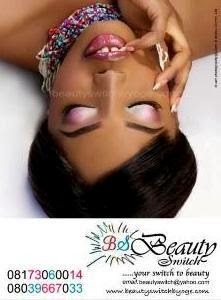 Kim wore her long, raven-haired locks down and pin straight. 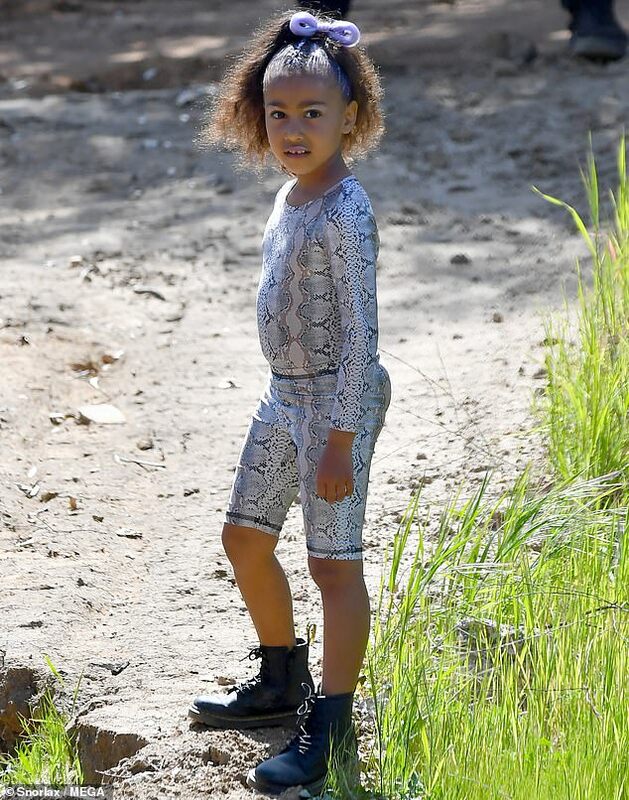 Daughter North, five, in a matching long-sleeve top and short sets. The cute little one completed her trendy outfit with a purple bow and black boots.